Jumbo Oats, as their name suggests, are the largest variety of wholegrain flaked Oat. They have a slightly nutty flavour note and are ideal for biscuit and confectionery products that require a firm bite and open texture. 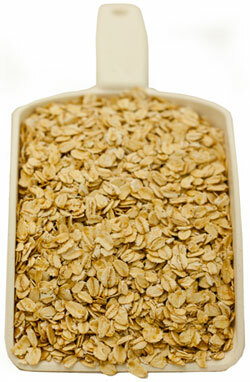 Jumbo Oats are used extensively in flapjack, confectionery, bread, cereal bars, muesli, granola and traditional porridge.